the recognition their products deserve. is synonymous with quality and innovation. J.L. 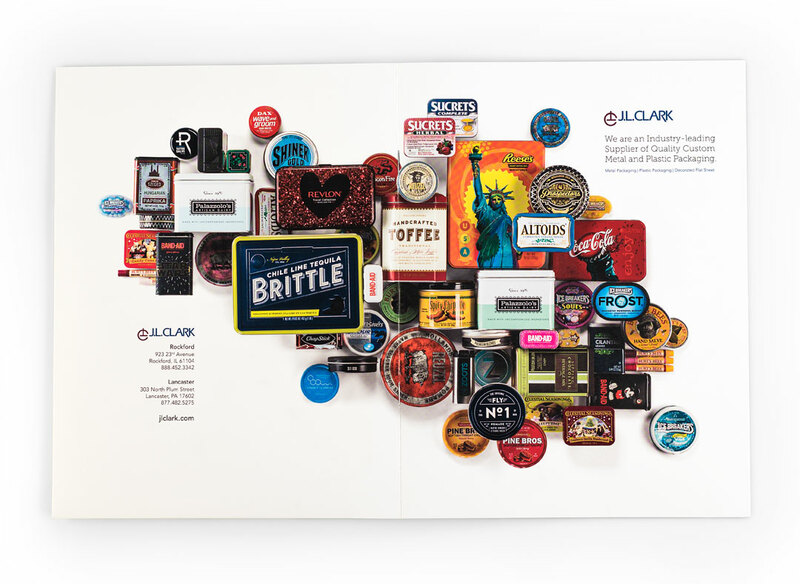 Clark has been around for over 100 years and wanted to revitalize their brand and look to new markets for growth. We welcomed the responsibility of leading this iconic company’s rebranding venture. Website design, photography, capabilities & testimonial videos, strategic content development. Award winning web design. Highly efficient, user-friendly content management system (CMS). 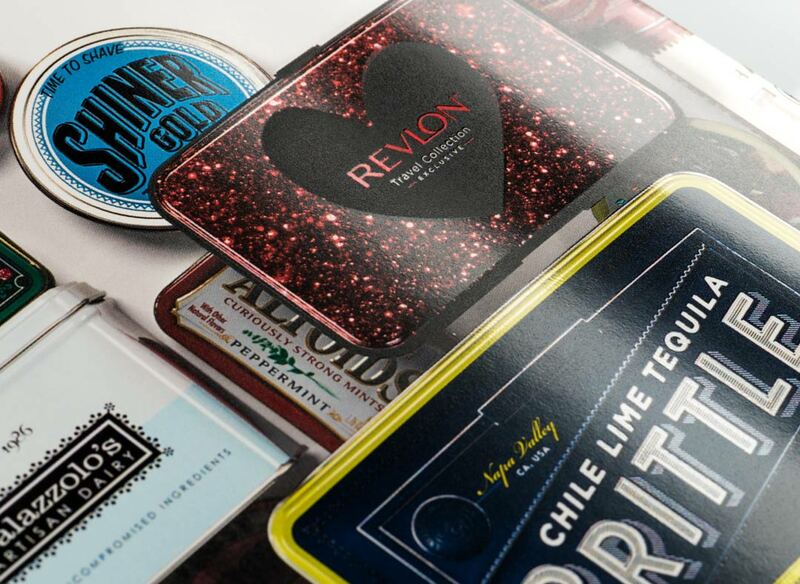 Built to tell the story to packaging engineers & brand managers. We won a national award for doing what we love. 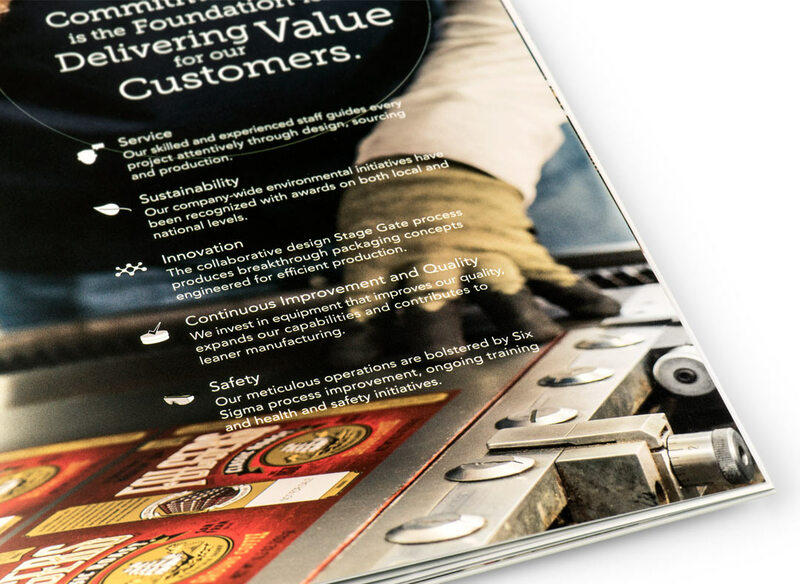 Part of a series of testimonials and white papers utilized to augment the rebranding efforts. Providing insight to the efforts and results of the hard work and dedication J.L. Clark has to their customers and the products they produce. We provide an inside look at the people behind J.L. Clark’s 100+ years of success and spotlight the expert craftsmanship required to produce these beautiful products. Flexible master templates support end-user updates while maintaining brand consistency. J.L. 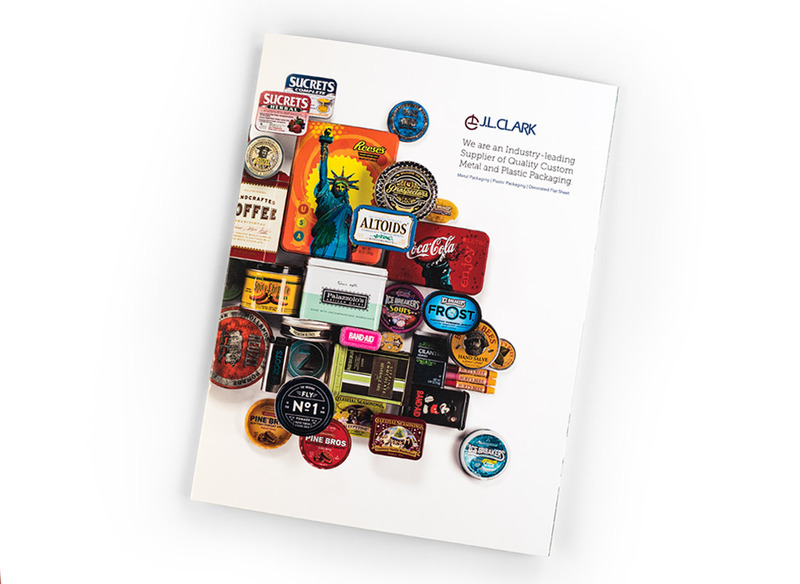 Clark was in need of new sales collateral that would grab the attention of decision makers at large national consumer products brands. 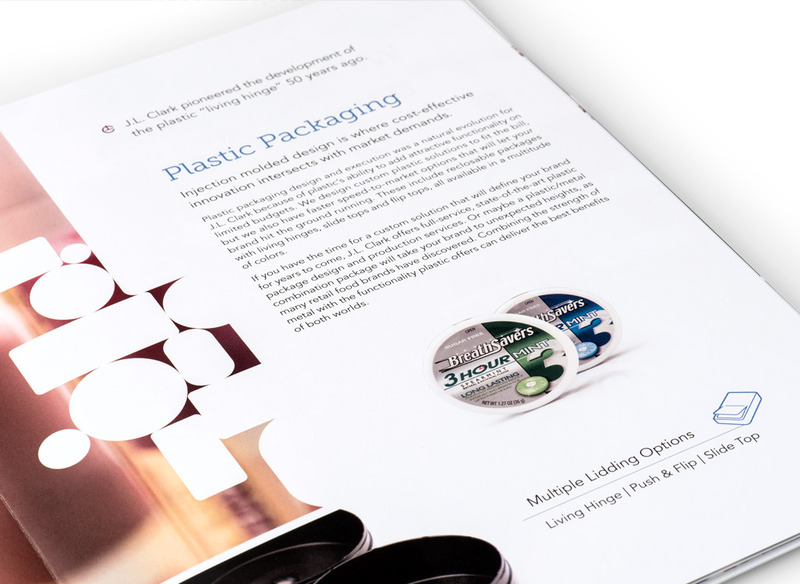 DHM designed a brochure that highlights the company’s capabilities with a uniquely elegant aesthetic uncommon in the B2B metal and plastic packaging space. In addition to design, DHM also provided copywriting and photography to fully flesh out the finished product. The brochure’s design aligns with J.L. 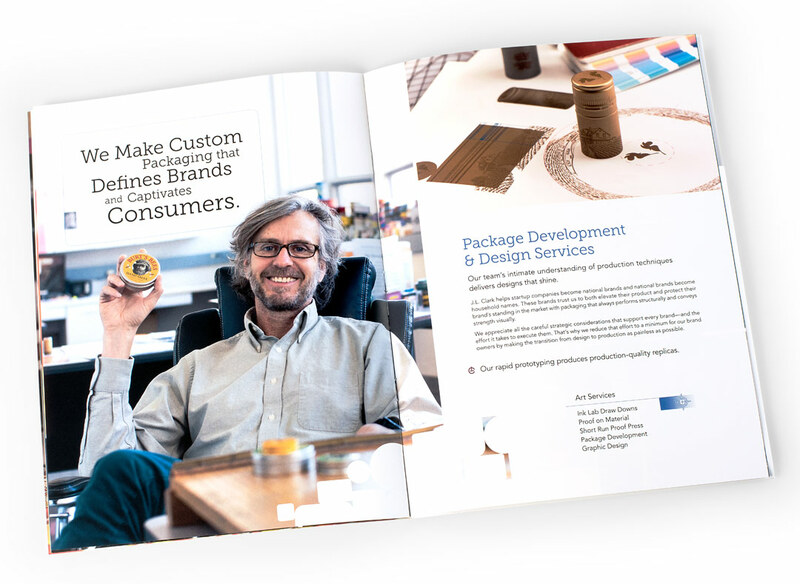 Clark’s rebranding efforts begun in early 2017, which included an award-winning website, corporate identity package and brand guidelines, all developed by DHM.